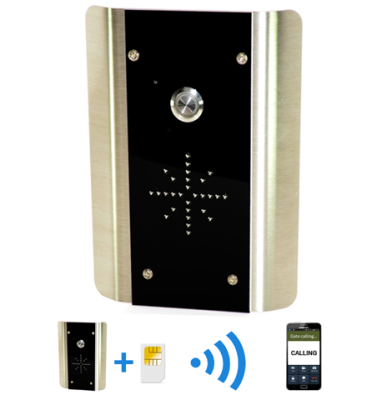 The AES range of GSM intercom systems allow you to speak with callers directly on your mobile phone anywhere in the world, from your mobile you can then choose to either open the gate or door or hang up the call without visitors knowing if you are at home or not. ♦ Stylish curved architectural model. Constructed from BS316 marine grade stainless steel and finished with gloss black acrylic trim.